For some patients, becoming an active member of your healthcare team can be challenging. Some individuals may feel overwhelmed by all of the information, test results, and treatment options, while others might not feel comfortable talking to their healthcare provider at all. According to our 2018 Hepatitis C In America survey, only half of respondents with hepatitis C said they feel like they play an active role in making treatment decisions. Only 40% said they felt uncomfortable talking about their hepatitis C with their doctor, and less than 50% felt as though their healthcare provider takes into account their quality of life when choosing treatments. These numbers suggest that individuals with hepatitis C may find it difficult to talk openly with their doctors. They may also be having a hard time learning how to join their healthcare team and take on a more active role in decision-making. If you or a loved one is struggling to find your place on your healthcare team, or feel lost during healthcare appointments, there are some steps you might consider trying to make the most of your time with your physician. These tips may also help you break into a more active role when it comes to treatment planning or symptom management. When your healthcare provider is talking about confusing test results or treatment options that have unfamiliar names, it’s easy to want to zone out and not pay attention. However, trying to stay focused and taking notes during your visit may help you remember more from your appointment and pay closer attention. If you are unable to take notes or don’t feel comfortable doing this while your healthcare provider is talking to you, it may be a good idea to ask a friend or family member to come to your appointment with you and be your designated note taker. After your appointment, you may think of more questions later on, or want to find out more about a topic your doctor brought up. Doing a quick internet search or checking in with a support group can help you find out more about issues that you’re confused or concerned about. However, it’s important to remember that an internet search can lead to many results, and not all websites are accurate. Using major resources such as the CDC (Centers for Disease Control and Prevention), the American Cancer Society, or another medically-reviewed site will generally have accurate and easy-to-understand information. As you’re doing research, you may find that you have more questions than when you started. Make sure to write down any questions you have and bring them to your next doctor’s appointment so you can discuss what you need to during your visit. In some cases, there may only be one treatment option that is appropriate for your specific situation, and there may not be much of a choice to be made. However, in other cases, your doctor might be deciding between several different treatment options with different cure rates, side effects, or price ranges. Ask your doctor if there is more than one treatment option possible for you, and if you can help decide between them based on what you’re looking to get out of treatment. For example, if you know that you want to avoid a specific side effect, ask your doctor if there are any medications that might reduce the chance of you experiencing it. If your doctor does give you several treatment options to choose from, it’s okay to ask for time to decide. You do not need to make a decision on the spot. You can go home and do some more research or ask friends or support group members what their experiences have been, and use that to help make your decision later on. Some individuals with hepatitis C feel like they can’t talk to their doctor because they’re scared that their doctor will judge them. 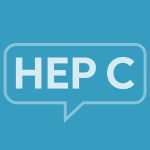 Experiencing stigma with hepatitis C is not uncommon, and can come from healthcare providers, too. Confronting the issue head on and letting your doctor know about any fears you have regarding their perception of you, treatment, or the future can help keep open lines of communication and create a mutual respect between you. Creating a high level of respect and setting goals for care may help ease conversations later on, and allow you to take on a more active role on the team. It’s important to remember that if your doctor or healthcare provider doesn’t make you feel valued or heard, you can always seek a second opinion or a new provider (if possible).